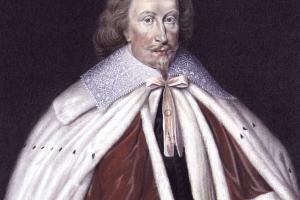 SAVILE, Sir Thomas (1590-1657/9), of Howley, Yorks. 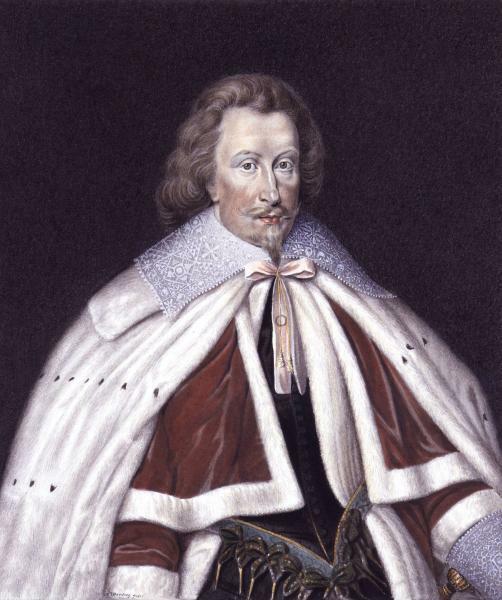 As the son of Sir Thomas Wentworth’s* arch-enemy, Sir Thomas Savile was never short of detractors: in the 1630s George Garrard* entertained the lord deputy with tales of Savile’s legal difficulties, and thirty years later the 1st earl of Clarendon (Edward Hyde†), a keen Straffordian, dismissed Savile as ‘a man of an ambitious and restless nature, of parts and wit enough, but in his disposition and inclination so false that he could never be believed or depended upon’.20 This comment reveals more about its author than its subject, but there is no doubt that Savile failed to translate the advantages of birth into a successful political career. 1. CP sub earl of Sussex. 2. Vis. Yorks. ed. Foster, 126. 4. J.P. Malcolm, Londinium Redivivum, ii. 370; R. Thoresby, Ducatus Leodiensis ed. T.D. Whitaker, 150; CSP Dom. 1645-7, pp. 462-3. 5. Shaw, Knights of Eng. ii. 161. 6. CP sub earl of Sussex. 9. PROB 11/296, ff. 33-4. 11. Duchy of Lancaster Office-Holders ed. R. Somerville, 152. 14. York City Archives, House Bk. 35, f. 57v. 15. Duchy of Lancaster Office-Holders, 152. 16. R. Reid, Council in the North, 498. 17. CSP Dom. 1625-6, p. 582; 1641-3, p. 189; HMC Buccleuch, i. 288. 18. CSP Dom. 1640-1, p. 144; HMC Var. vii. 425. 19. CSP Dom. Addenda, 1625-49, p. 662. 20. Strafforde Letters (1739) ed. W. Knowler, i. 176-7, 336, 411, 426; ii. 128; Clarendon, Hist. of the Rebellion ed. W.D. Macray, ii. 534. 21. Malcolm, ii. 370; Stowe 758, f. 2; Cent. Kent. Stud. 269/1/OE743. 22. SIR JOHN SAVILE; Duchy of Lancaster Office-Holders, 152; Pennine Valley ed. B. Jennings, 55-7. 23. Strafforde Letters, i. 11-13; Wentworth Pprs. ed. J.P. Cooper (Cam. Soc. ser. 4. xii), 143-5; Surr. Hist. Cent., LM Corresp. 14 Dec. 1620. 24. CD 1621, ii. 45, 260; iv. 76, 185-7; v. 65-6, 319; Nicholas, Procs. 1621, i. 38-9, 61; CJ, i. 571b; W. Yorks. AS (Bradford), Sp. St. 11/5/3/1-2. 25. Wentworth Pprs. 202-3; R. Cust, ‘Wentworth’s "change of sides" in the 1620s’, Pol. World of Thomas Wentworth ed. J.F. Merritt, 70. 26. CJ, i. 676b, 683a; C. Russell, PEP, 176-7; T. Cogswell, Blessed Revolution, 193-4. 27. CJ, i. 754a, 756, 776a; ‘Holland 1624’, ii, f. 52; Wentworth Pprs. 144. 28. CJ, i. 679b, 680b, 730b, 747b, 757b, 764b, 794b; ‘Spring 1624’, p. 157. 29. CJ, i. 686a, 688a; C.R. Kyle, ‘Attendance Lists’, PPE 1604-48 ed. Kyle, 196. 30. Fairfax Corresp. ed. H.M. Bell, i. 6-7; Bodl., Fairfax 34, f. 47; Procs. 1625, p. 295; H. Cholmley, Memoirs (1787), pp. 23-4. 32. Strafforde Letters, i. 32-3; HMC Hodgkin, 43. 33. T. Rymer, Foedera, viii. pt. 2, p. 24; J. Popham, Reports and Cases (1650), p. 207; F. Philipps, Regale Necessarium (1671), p. 23; Les Reportes de Sir William Jones (1675), p. 239; T. Birch, Ct. and Times Chas. I, i. 143; APC, 1626, pp. 274, 296. 34. Procs. 1626, iv. 349; APC, 1627, pp. 312-13; C66/2384/2; Wentworth Pprs. 264-5, 271-2. 35. CD 1628, ii. 507-8, 510-11. Sir John Savile’s partner is not named in the depositions. 36. W. Yorks. AS (Leeds), GA/B10; CD 1628, ii. 37, 234; iii. 28, 45-6, 49-50, 53, 55; CJ, i. 879a, 887a. 37. CJ, i. 873a; W. Yorks. AS (Bradford), 32D86/19, ff. 89-90; CD 1628, ii. 310; vi. 61. 38. Borthwick, Reg. Test. 41, ff. 314-16; C142/476/141; C2/Chas.I/L8/67; 2/Chas.I/S52/10; 2/Chas.I/S63/33; 2/Chas.I/S64/63; 2/Chas.I/S65/66. 39. Reid, 498; CSP Dom. 1645-7, pp. 389, 401, 403, 424-30; Whitaker, 237-8.